Here at the Penny Hoarder, we are pretty adamant about never buying new cars. When I moved to St. Petersburg, Florida, and announced I planned to buy a new car, my entire team stared at me. It was as if I’d disqualified myself from being a responsible shopper by admitting I was going to spend more on a major purchase. So I accepted the challenge of proving why a new car was the right financial choice for me. Plenty of the experts I consulted said a used car is always, hands down, a better option; I decided to put those emails and notes away and ignore them for now. Journalism! Instead, I talked to a few auto industry pros who wouldn’t judge my choice and would give solid advice to others wondering whether they should just go out and get a new car, too. 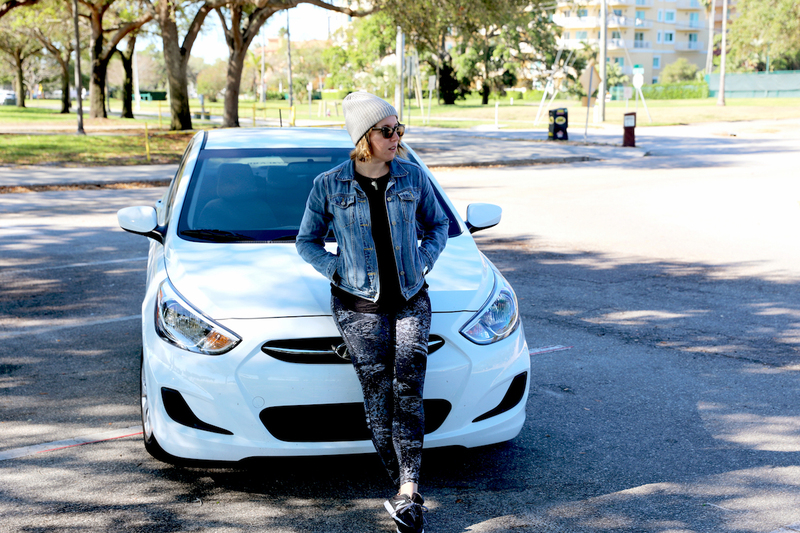 Here are the factors that contributed to my major purchase, a 2016 Hyundai Accent. Does your car-buying personality match mine? After years of Zipcar trips and weekend rentals, I had narrowed my options all the way down to the exact make and model I wanted. “If there are certain options you want on a vehicle, a new car can allow you to customize that vehicle for you,” said David Bennett, manager of AAA’s automotive program. While your used car options might be at the whims of the sales lot, buying a new vehicle allows you to get exactly what you want. Regardless of whether you’re going through a dealer or your bank, it’s riskier for a bank to lend money for a used car than it is for a new car, Mike Rabkin, president of the negotiating service From Car to Finish, says. With a good credit score, you may see only a difference of a few percentage points between your interest rate on a new car loan versus a used car loan, but remember, that rate will stick with you for three, four or five years. The lower, the better. New car warranties don’t come from dealerships, although they may try to sell you additional warranty packages when it comes time to sign. Those three-year or 36,000-mile warranties you see advertised on TV — some go longer! — come straight from the manufacturer, meaning you can visit almost any dealership should you have issues with your car while it’s on the newer side. Meanwhile, used cars carry uncertainty. You may be able to look up a vehicle history, including accidents, for a used car. But you may not always have access to a maintenance log. Since it’s been a while since I got my Girl Scout car care badge, I’ll take the peace of mind of a lengthy warranty. If I had a car that suddenly kicked the bucket, I’d probably need to get a new one ASAP. But since I was used to being car-free and had just moved to a fairly walkable town, I wasn’t in a big rush. Patience meant time to research, and I don’t just mean browsing automakers’ websites. “Check websites such as Edmunds, TrueCar, and Kelley Blue Book to find out about the auto manufacturer’s current incentives and offers,” Richard Reina, product training director at CarID, advises. “This will save you time when you do decide to go onto the showroom floor as you already know what make and model you’re looking for, and the deals” on that model. And while you might think of AAA as an emergency service, the association also offers a variety of car-buying tools, from research portals to insurance to a car-buying service that helps you negotiate a price. I found TrueCar the most helpful because it showed me what other people in my area were paying for similar models. So when my salesperson handed me a price sheet that was $5,000 higher than my target, I knew to play hardball. Politely. OK, maybe that wasn’t a good reason. But Matt Tuers, a sales and leasing consultant at Sir Walter Chevrolet in Raleigh, North Carolina, made me feel better about wanting a new car. “The case for purchasing a new car is typically preferential in that such a purchase is the preference of the buyer to start their ownership with a clean slate. No previous owners or drivers. No blemishes,” he explained. I walked into the dealership specifically asking for the previous year’s model, so I didn’t really fall into the “latest thing” status-coveting category. But I did want a clean slate and a car I knew I could count on for years after I paid it off. Buying a new car comes with a bonus beyond feeling cool. “One-owner cars are more desireable at resale,” Tuers said. So whether I trade in or try to get cash somewhere down the line, I have a better chance of getting what Birdie (my lovely sedan) is really worth. Related: New car smell is real, and although it’s not the most pleasing bouquet, there’s a certain satisfaction to it. “If you’re going to keep your car for a long time, a new car is probably a good idea,” Bennett said, explaining that his idea of “a long time” is eight or more years. The caveat? You’ve got to maintain the car. You don’t need to visit your dealer to do that maintenance, but you do need to have records handy so you can verify you got the work done. The savings can be major over time. By spreading the cost of maintenance over several years, Bennett said, you reduce the risk of a big, expensive car repair that surprises you. A new car may be a better financial choice than a few-year-old used car, according to Rabkin. Cars still depreciate rapidly, but a couple factors in the past 10 or so years — the recession, the Cash for Clunkers program, the Japanese earthquake that slowed production — have led to what Rabkin calls a shortage of late-model used cars on the market. That means prices for quality used cars are higher than ever — almost in line with new cars. So does it ever really make sense to buy a new car over a used one? I know my choice was a bit unconventional, but I suspect it will serve me for years to come. In the meantime, nobody park too close to me. I’m a bit protective. Your Turn: Which do you think is a better choice when buying a car: new or used? Lisa Rowan is a writer and producer at The Penny Hoarder. She will pay extra for the deluxe car wash.